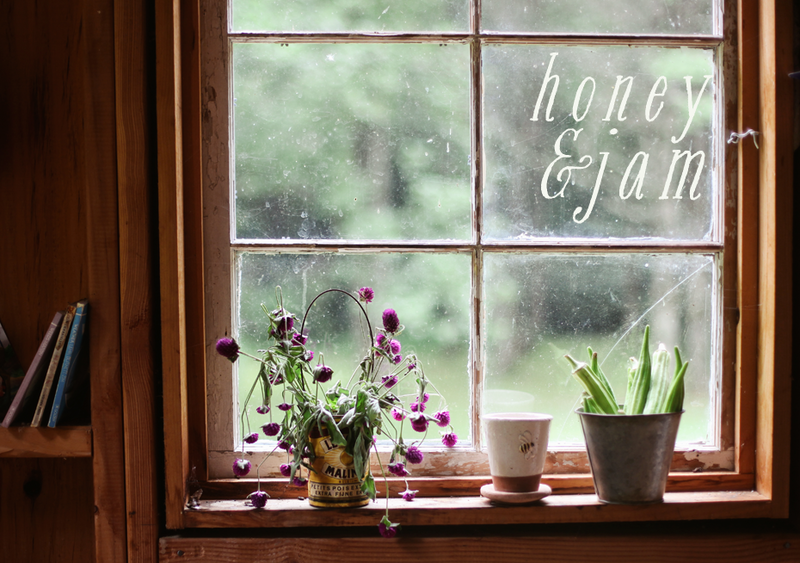 honey & jam | recipes + photos: of apple orchards and pie parties. 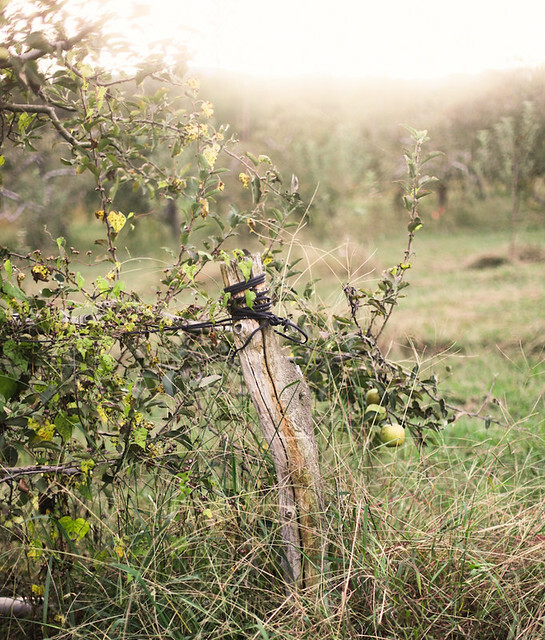 of apple orchards and pie parties. I consider myself lucky to live in the place I do. I'm surrounded by beauty - mountains, rivers, trees and good, generous people. 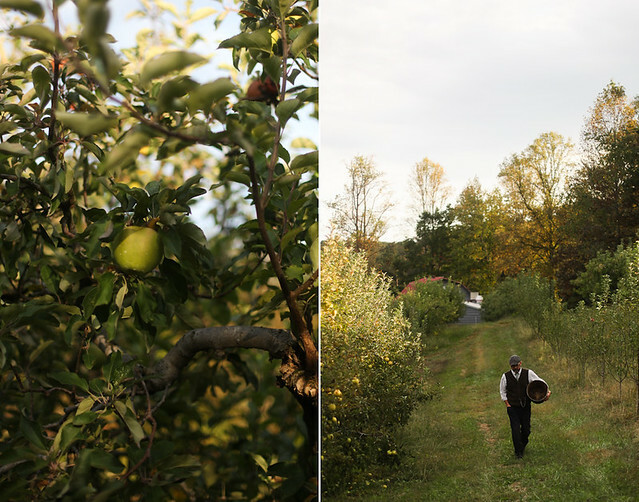 There's an apple orchard not too far down the road, and when I received an invitation to visit, to explore, I knew it was something I couldn't pass up. Luke at Mountain View Orchards is one of those good people. 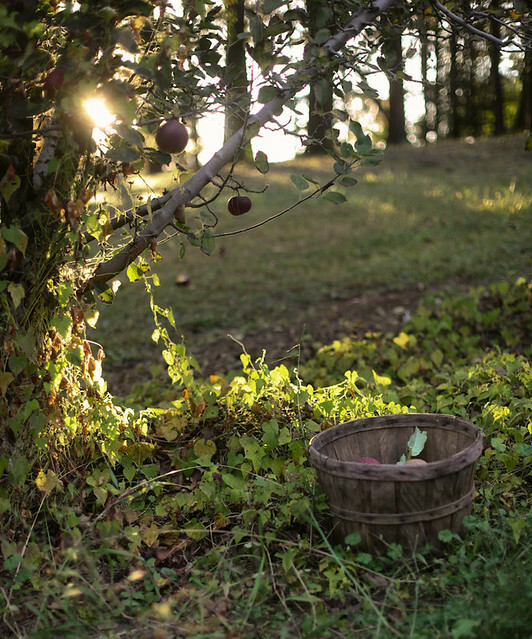 We stomped around, stepping over the high grass and fallen apples, taking in the last of the days sunlight, shining and glittering around the trees, apples heavy on their branches, their scent perfuming the air. 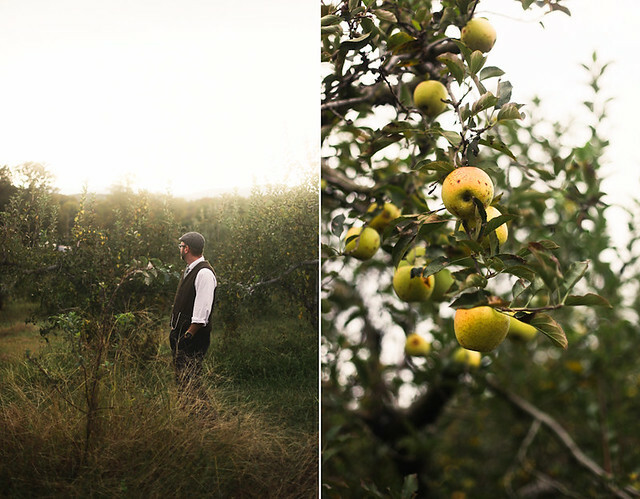 He told me all about the orchard in a way only a man passionate about a place can. Not all fact, but feeling. 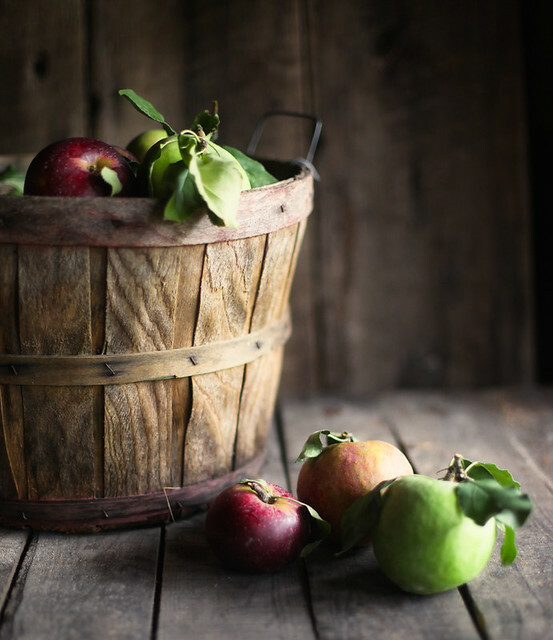 He lamented that the old variety of apples, the tasty, imperfect sort, were being passed over for the shiny, flawless-on-the-outside, less flavorful varieties. He told me about his passion for Appalachian culture, and we agreed that this, growing real things in a place they are meant to be grown, is far more interesting and cultural than the new Starbucks in town. All while we snacked on apples, freshly picked. It's a truth universally acknowledged that fruit plucked straight from the tree just tastes better. Luke sent me off with a basket full of apples we'd picked, and I came home with a plan. A pie plan. As much as I love this place I call home, I also love this community, this microcosm we call the food blogging world. It's full of the same sort of good people. People like Stephanie, Beth and Sarah, who, when I sent out a tweet about needing pie, all understood and excitedly passed emails back and forth about a virtual pie party. Ladies, I cannot wait to sit down and share a slice with you one day. This pie is bare bones, as simple and stripped down as possible. It’s just apples, sugar, salt, and a bit of brown butter. Not even a dash of cinnamon. These are the sort of apples my autumn daydreams are made of and I wanted them to shine. It's best served up with a side of The Avett Brothers (particularly this track and this one) - their new album has been my constant companion since it's release, and was playing as I baked this up. 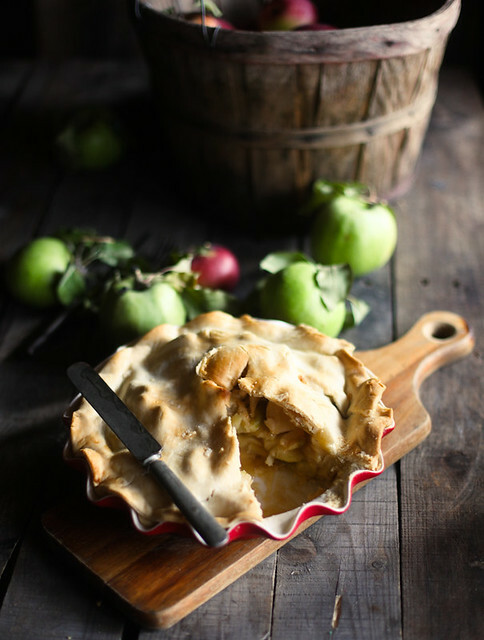 Be sure to check out Sarah, Beth, and Stephanie's posts for their lovely pies & music picks. In a pan, melt butter over medium-high heat and cook until it begins to brown, it will smell nutty and fragrant. In a large bowl, combine the apples, brown sugar, salt, flour and brown butter. Pour into pie plate, mounding in the center. Roll second disc of dough into a 12-inch round, 1/8 inch thick. Wet edges of the crust in the plate, then lay dough on top, pressing at edges to seal. Cut vents into top crust. Place on a parchment paper lined baking sheet. Bake at 400 for 15 minutes, until crust is browned at edges. Turn oven down to 350, bake for another 40-50 minutes. That looked like the most magical day. We haven't had a chance to head out to pick apples this year, but I've eaten LOTS of them from our CSA. I do a brown butter and sage apple pie, but I'm going to definitely try this out. all in this post so amazing and Magic!! Beautiful, beautiful images. There's something so special about meeting folks that are passionate about what they do. It always leaves me feeling inspired. Just made my first apple pie of the season from some beauties off my own tree. I don't have an orchard yet, but one tree sure is better than no trees to call my own. Just found you and can't get enough of this blog! How are you not advertising and making money yet?! You are SO good at this endeavor. A beautiful pie and a beautiful day! Beautiful apples! I love visiting the local apple orchard. The apples there are delicious. That pie looks so tasty too. Pie party?! HECK YES! Love this idea! Wow, those are some seriously gorgeous photos! Definitely makes me miss living somewhere with a distinct 'fall' season! So nice to have a new post from you! Your photographs are breathtaking, and that pie looks so scrumptious. Thank you for sharing it! I love a bare bones apple pie. It really points to the beauty of the ingredients. Looks like you had a lovely time in the orchard! I love the photos here, wow. Sheesh. Every single photo. Beautiful work, Hannah. amazing beautiful photos. everyone of them. enjoy the pie party! Apple orchards have a special place in my heart. Every year in early October the family would gather at my grandmother's house, each family unit supplying a bushel of apples. Everyone had a job - I was usually an apple peeler - and together, as a family, we'd make homemade apple pies. (We're a LARGE extended family) Grandma had a freezer in her basement just for these pies. We'd freeze them, and then take two out every time we'd have a big family dinner. To this day I can't eat store bought apple pie. Beautiful photos and pie! Yum. I made an apple pie on Sunday too!! I've been enjoying a piece every night after everyone is asleep, it's my favorite time of the night :) I LOVE your pie dish. Gorgeous doesn't even begin to describe how amazing these photographs are. This pie sounds so interesting, and your pictures are beautiful! I work at a cider mill bakery, here in Western NY, and make apple pies by the dozens (from scratch, I may add). I have never seen an apple pie without spice, but the addition of brown butter, I can only imagine adds a depth of warm flavor, without masking the apple taste. Is that Luke in the photos? I dig his outfit -- so perfect for a day in the orchard! Lovely post, Hannah. These photos are so dreamy and ethereal. We don't really have apple orchards in my area, so I'll settle for living vicariously through your photos and words :) I'm really digging the simplicity of this apple pie. I'll have to try to make one soon. I was having a pie day yesterday too. But then, for lack of time, I turned to apple crisp. Just as tasty, but I'm so making an apple pie for real soon! Gorgeous. I love the photos...and the pie looks amazing. I live in New Hampshire, where we are also fortunate to have natural beauty around us, similar to yours. Thank you for capturing the glory of your area, and those amazing apples! Your photographs are absolutely stunning. I could stare at them all day. And brown butter apple pie sounds so lovely. You're really making me miss the apple-picking and cider mills of my Midwestern youth. :) That pie looks wonderful! Stunning, stunning photographs that capture the bittersweet quality of autumn. I am waiting to go for apple picking and yet to bake my first pie of the season. Such gorgeous photos and I am loving the rustic look of the set up! Your photos from the orchard are really striking. This year at my local farmers market it seems there are more of the heirloom varieties than I've seen in years past. It's a comforting thing and I enjoy tasting them all. I love that you kept your pie so simple to let the apples shine. I'm so making apple pie this weekend! Great apple orchards and pie parties. Love it! This is such a lovely post Hannah, and you do indeed live in a beautiful place. I would not pass up on an offer to pick apples in a neighbour's orchard either! His lament is well-founded, alas, for there really are too many pieces of cloned produce in supermarkets now. Even in our markets, the varieties are only just beginning to become more interesting. I'm loving the fact, that while everyone is pumpkin mad, there is this beautiful post featuring gorgeous apples and apple pie. I'm partial to a crumble myself, but a good pie pastry never goes amiss. Beautiful! Thanks for sharing, happy apple eating! I'm taking the deepest breath now...you can almost smell it...a beautiful capture. Now, that's an amazing pie!!!! I really enjoy the photographs in this post. Very nice! Such lovely pictures! 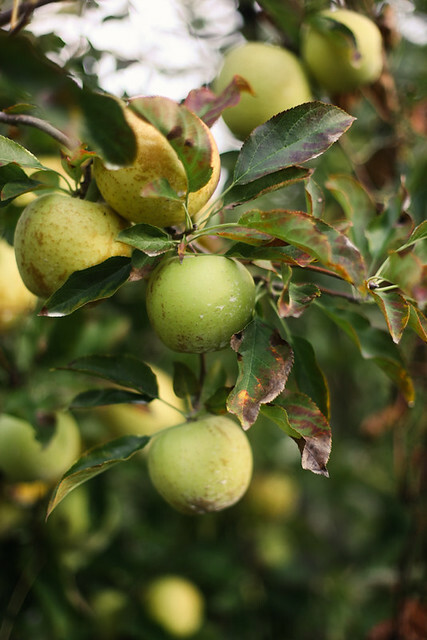 I'm going apple picking at oak glen in yucaipa, ca this weekend and these pictures made me that more excited! Slight crispness in the air now. Days are getting shorter. Nothing like a simple apple pie to bring a smile to ones face. Hannah, this is exactly the kind of thing I talk about. Good people, great places right where they are meant to be. Not commercialized. And where the food just tastes better. 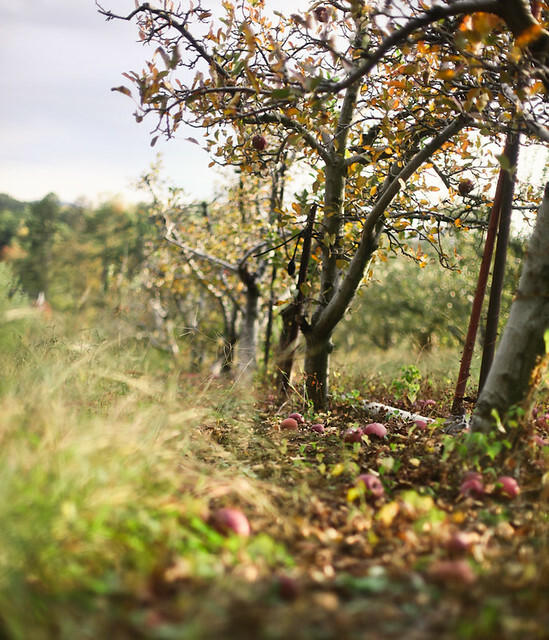 Love the story of the apple picking as much as your beautiful pie. 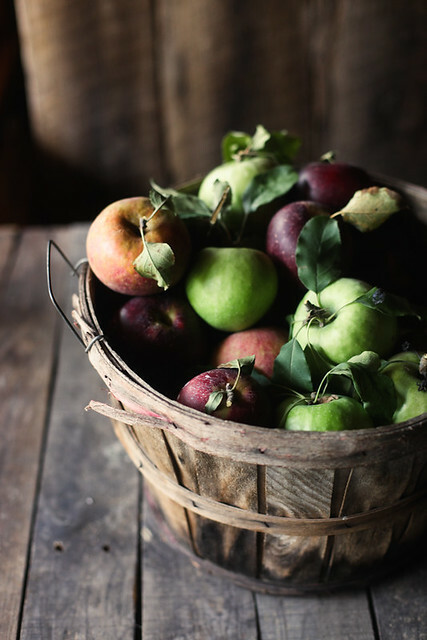 And that basket full of gorgeous apples. I think that would be just fine! Maybe a crumble topping instead? I have been a quiet admirer of yours for some time now. Today, on my blog (you can find the post I speak of here: http://erinellenbergermarch.com/2012/11/01/figuring-it-out/)I declared I think you are an incredible photographer. I love the moodiness and story you tell with them. I wish you wild success and hope that I will that I would tell the folks who inspire me just that; to break the silent admiration and stop assuming they know how much they inspire me. 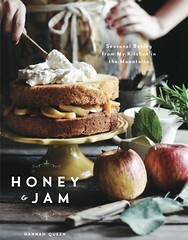 one day have a beautiful cook/book full of your images and recipes. I hope this finds you well and gives you some happiness. Today, on my blog (you can find the post I speak of here: http://erinellenbergermarch.com/2012/11/01/figuring-it-out/)I declared that I will that I would tell the folks who inspire me just that; to break the silent admiration and stop assuming they know how much they inspire me. That apple pie looks amazing! WOW, wonderful. It's very nice. Specially this apple's trees. Thanks to share this.